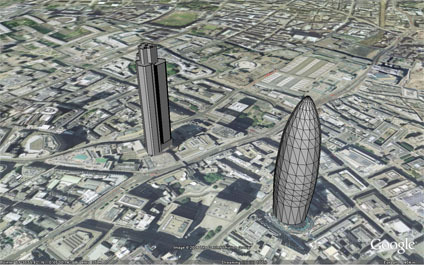 The latest building is Tower 42 in London, coupled with a simplified 30 St Mary Axe. Tower 42 is the tallest building in the City of London at 183 metres compared to 179.8 metres for its neighboring 30 St Mary Axe. Built in 1980 by Architects Seifert and Partners, Tower 42 was originally home to the Natwest Bank with rumours that its unique shape mirrored the Natwest’s logo at the time. This seems to be however an urban myth, the building is now an office complex with a restaurant on the 42nd floor offering views of London. These models are all brilliant – thanks for all the hard work you’ve obviously put into them all. Is this related to the Virtual London work that CASA is doing? Thanks for the comments. Yep its all directly related to CASA’s Virtual London as i work at the lab on the project. The models and work on the blog all feed into the bigger picture. Virtual London is one of the things that first really caught my eye when I started my masters at UCL in 2004, so it’s great to see the project still alive and kicking. How far along do you think it’ll be before the possibility of adding facades to these models? I guess theoretically it’s possible now, as (I think) I’ve seen some models with graphics attached. Virtual London is alive and kicking although its always hard work to get funding etc. Awesome. 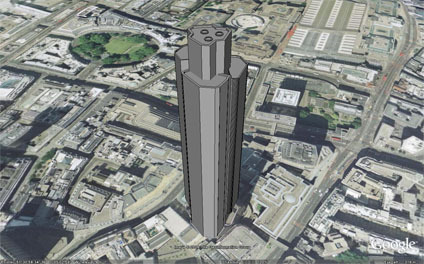 Do you plan to include The Willis Building, Bishopsgate Tower, 122 Leadenhall, The Shard / London Bridge, Soutwhark Cathedral, Canary Wharf (as it is), etc.